The kitchen is the heart of the home in most households. It’s the place where we meet up for conversations, whip up sweet treats or a yummy breakfast or share wine with friends. Unfortunately, because of this it is also notorious for being the messiest. Most of us spot-clean our kitchens on a regular basis, but we very rarely take the time to give them a good deep clean. 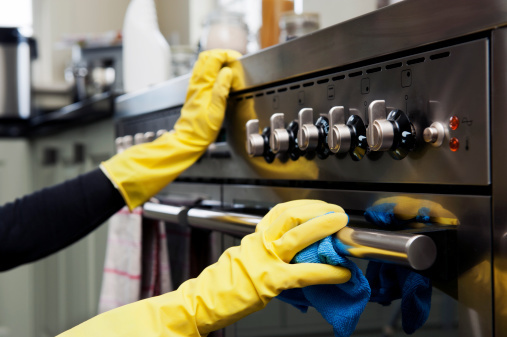 Our kitchen may end up looking nice at the end of our mini cleaning spree, but this quick method of cleaning can still leave residue and germs lingering in places we least expect. If you’re looking for some clever ways to spruce up your kitchen, consider these things you can do to give it a deep clean. The kitchen can easily become the place where everyone dumps their stuff. 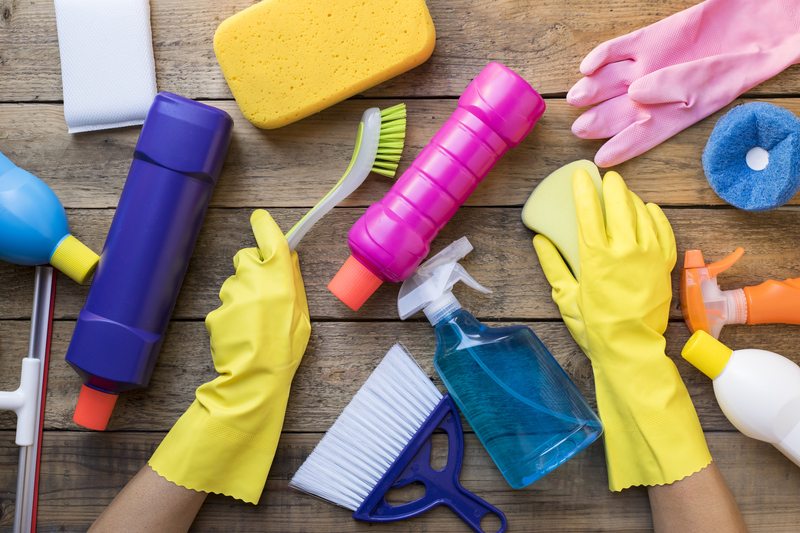 Take a few minutes to clear away items that do not belong. Put any items from the counters into their proper place. Wash, dry and put any dishes away. Wipe down all of your kitchen surfaces. For granite and other countertops without grout, start with a squeegee to quickly and easily sweep any crumbs away. Spray all surfaces and the stove top with a multi-surface cleaner and let it sit for a few minutes before wiping it down with a scrubber sponge. 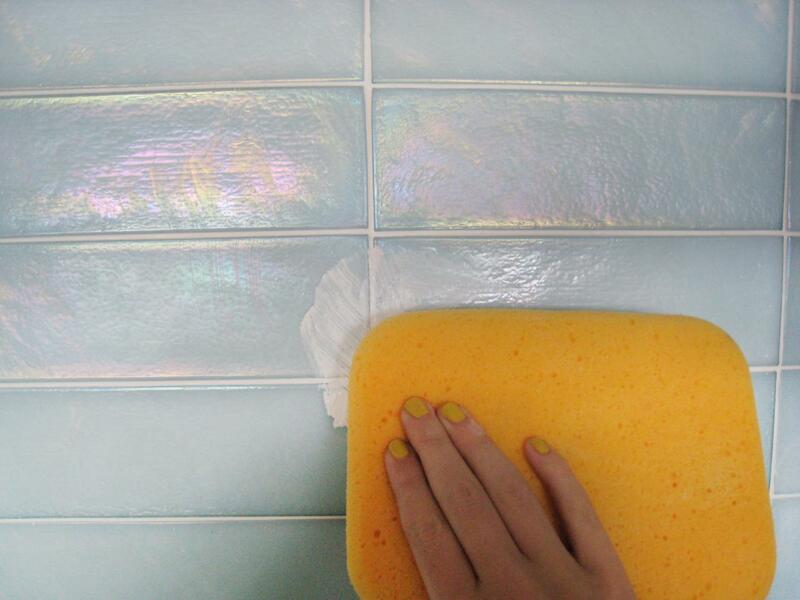 Letting it sit will help break down grease and grime, and soften any food or spills. Don’t forget the backsplash, walls, range hood, stove and exteriors of the cupboards. Create a fresh start by removing all items from the cabinets. Wipe down shelves with soapy water or kitchen cleaner. Use clean, labeled, airtight containers to store baking & cooking staples such as flour and sugar. 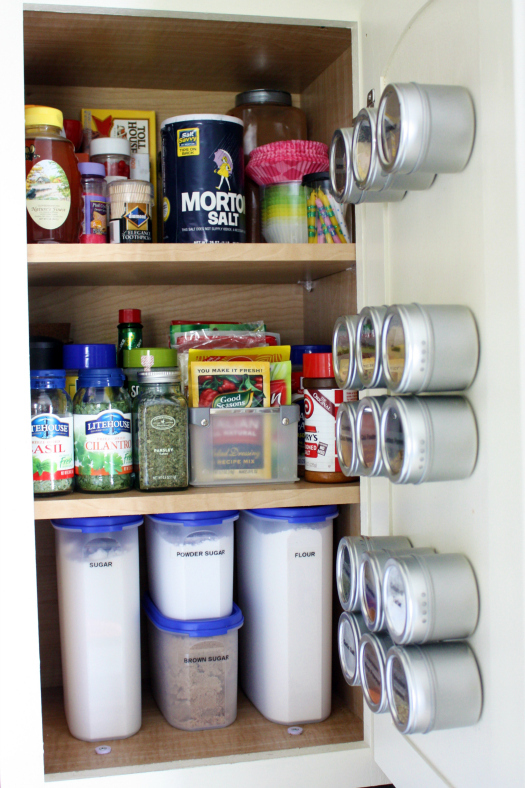 Put items back in the cabinet, making sure the most frequently used containers and pans are easily accessible towards the front. Check labels & toss items that are expired, moldy or empty. Wipe down shelves with soapy water or cleaner. Remove produce drawers & wash well. Wipe down the exterior. To clean this area, begin by pulling the refrigerator away from the wall to give yourself space to work. Unplug the refrigerator and turn off the water supply. Clean the coils of dust. Vacuum away any leftover dust and wipe down the wall behind the refrigerator. Gather baking soda, vinegar and a few pieces of fruit peel (lemon, orange or lime). Pour ½ cup baking soda down the drain, followed by ½ cup of vinegar. This will fizz up like crazy so it’s very exciting to have the little ones help! After five minutes, flush out the mixture with hot water. Drop the fruit peels down the drain and run the garbage disposal for a few seconds to further deodorize. First pull everything out and dispose of any leaking or burst containers. 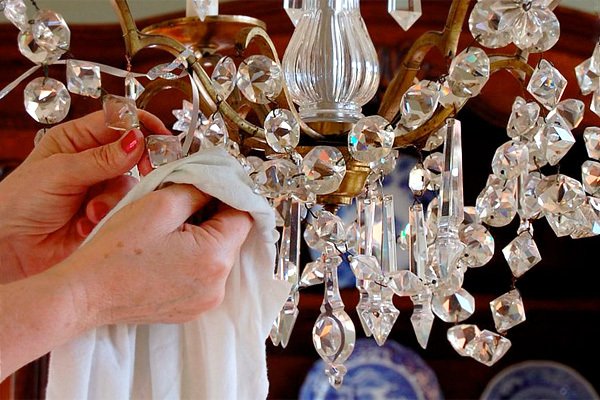 Clean out the area thoroughly and replace items in an organized fashion. Make a paste using a 1/2 cup of baking soda with a few tablespoons of water, and spread it all over the oven. Let it sit for an hour, and then wipe down. You can use this on your range hood as well to remove built up gunk. Put some lemon or lime slices in a bowl of water and microwave them for five minutes. Let the bowl sit for an additional five minutes so the steam can soften up anything stuck on the walls. Carefully remove the bowl of lemons, and wipe up the sides with a cloth. Dust and clean the exteriors and interiors. Replace any bulbs that need changing. If your cabinets do not go all the way up to the ceiling, the tops are probably in need of a good cleaning. 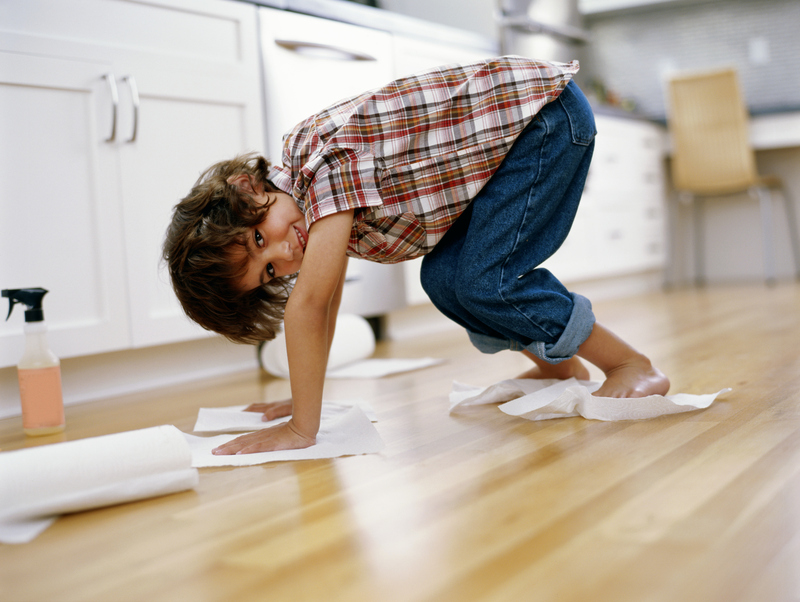 Using a hand held vacuum or duster, dust the tops of the cabinets to remove all dust and other loose particles. Spray with an all-purpose cleaner and wipe down. Wash any window treatments and dust the blinds. Clean your windows with a window cleaner. Don’t forget about opening the window as well and cleaning the window tracks. 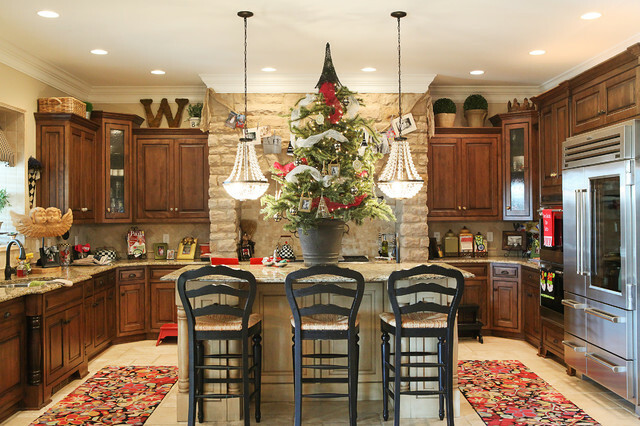 Getting your home ready for the holidays only weeks after Thanksgiving can be a bit overwhelming. Focusing on one area at a time and creating a plan of what can be prepared in advance can make things much more manageable. Check out our list below for some things you can do to make the next few weeks go by a little more smoothly. An Extra Place Setting: It’s always a good idea to plan for an extra seat. Clean the fridge out as much as possible several days before Christmas. Make a few meals ahead of time and put them in the freezer. The week before Christmas is always hectic. No matter how much you plan ahead, things come up. and you still need to have dinner. Save yourself a lot of stress and cleanup by having meals all ready to pop in the oven. Track down extra blankets and have them handy. Make an inviting entry while also helping keep mud at bay with a cheery mat outside the front door. 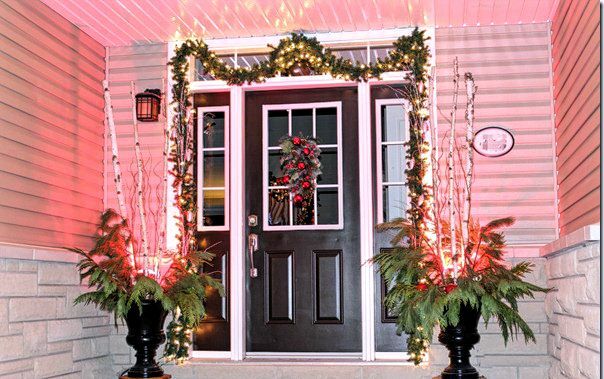 Be sure to check the lights along the front walkway. Establish a place to collect all warm weather apparel, including boots. Add extra hangers to your coat closet or designate a room to collect these. You should also consider adding an extra doormat for wet boots. If you plan for this ahead of time your entrance won’t become a cluttered mess upon everyone’s arrival. Consider putting together some fun things for the younger visitors that you will have. A box of assorted Legos, a stack of colored paper and a box of colored pencils are all simple but can help to keep them busy. Don’t forget to buy batteries for any toys or electronic gifts. Recharge the batteries on your camera or video recorder. 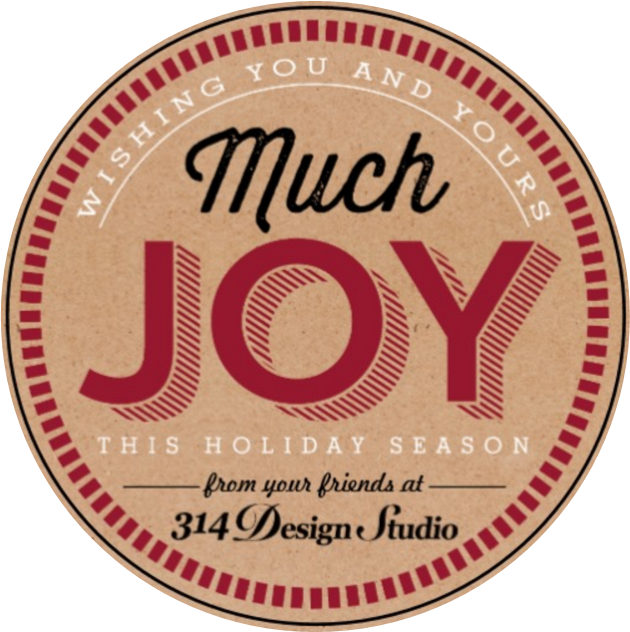 It may not seem like you’re accomplishing a lot in the grand scheme of this holiday season when there is always so much to do. By checking off some of these smaller tasks in the weeks before it can allow you more relaxation and less stress on the big day, We hope you & your families have a wonderful holiday! If your washing machine is smelling worse than your gym clothes, it may be time to give it a thorough cleaning. Believe it or not even washing machines get dirty and need to be cleaned. The easiest test to determine if your washer needs to be washed is to, well….stick your head in and smell the inside. Soils from laundry, detergents and hard water minerals can build up in areas that are hard to see which can develop an odor over time. Mold, grime and mildew in the washer lid and the door are another problem area. It’s recommended that you try these steps below every six months to keep your washer in tip-top shape. Set your washer on the highest level, as well as the hottest setting. Add 4 cups of white vinegar to the wash cycle. After the cycle starts, pause the machine and allow it to sit for an hour. During this time, wipe down the top of the washer with a cloth dipped in the hot vinegar water. Use an old toothbrush to clean the fabric softener and bleach dispensers as well. After an hour, continue the wash cycle. Next, run another wash cycle using one cup of baking soda. At the end of the cycle, wipe the top inside of the washer tub to remove any scum. The rubber gasket at the front of the washer accumulates water, dirt, mildew and other grime. Before cleaning the washer drum, clean the gasket by spraying it with white vinegar and wiping with a damp cloth. Set the washer to the highest level and the hottest water temperature. Add two cups of white cleaning vinegar to detergent dispenser. Run it through a complete cycle. Run another cycle on the highest level and at the hottest water temperature, this time adding one-half cup of baking soda to the drum. When cycle is done, wipe inside drum of washer with a damp cloth. Bonus Tip: Help to subdue mildew and mold by leaving the lid or door open when not in use.